GARDINER – In advance of a federal rule to allow advertising of high-risk and potentially fraudulent private placement offerings, Maine Securities Administrator Judy Shaw issued an advisory today informing investors about the risks associated with these offerings. The advisory is available at www.maine.gov/pfr/securities/Private_Placements_Maine.pdf. Private placement offerings allow companies to raise money by selling stocks, bonds, and other instruments; however, these offerings may be exempt from federal securities registration requirements. As a result, this exemption permits the raising of capital without having to comply with disclosure and consumer protection requirements that apply to public securities offerings. Because exempt private placement offerings are not reviewed by regulators, they have become a haven for fraud. According to the most recent statistics from the North American Securities Administrators Association, private placement offerings are the most frequent source of enforcement cases conducted by state securities officials. Currently, the exemption available under the Securities Act of 1933 does not permit general solicitation or advertising of private placement offerings. 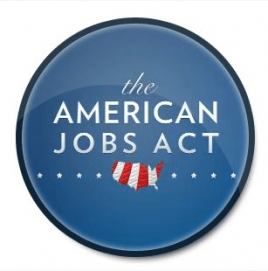 The JOBS Act of 2012 directed the Securities and Exchange Commission (SEC) to lift this ban, as long as sales are limited to “accredited” investors–people who have sufficient wealth or access to information that would presumably allow them to make fully informed investment decisions. The SEC is finalizing its proposed rule. Shaw noted that the Office’s advisory includes information on the risks associated with private placement offerings and tips on how to protect yourself when considering such an offering. More information about the risks associated with private placement offerings is available by contacting Office of Securities toll-free in Maine (877) 624-8551 or (207) 624-8551.